Successfully Added HK Warehouse LeEco LeTV Le Max 2 Android Phone - 2K Display, Snapdragon 820 CPU, Android 6.0, 4GB RAM, 21MP Cam (Gray) to your Shopping Cart. Equipped with an absolutely stunning 2K display, the LeEco LeTV Le Max 2 is an Android phone that truly lets you take your mobile entertainment experience to the next level. Capable of bringing forth breathtaking images in great detail and vivid color, this 5 Inch smartphone lets you enjoy your movies, games, and applications like never before. Thanks to its sophisticated 3100mAh battery, it delivers numerous hours of continuous usage time. From now on you’ll be able to head out with confidence as this Android mobile phone is guaranteed to take you through the most demanding and media filled days without needing to worry about battery life. Running on an Android 6.0 operating system, this Android smartphone comes packed with an abundance of software features that are guaranteed to deliver you an outstanding user experience. Featuring two IMEI numbers, this Android phone allows you to be reachable on two phone number simultaneously – making it perfect for separating work and private life. Additionally, its 4G and Dual-Band WiFi support provide you with the fastest data speeds out there no matter where you’re at. Whether you’re at home, in the office, or out in the city – with this Dual-SIM phone at your side you’ll always be connected. With the phone's Snapdragon 820 processor, a powerful performance is guaranteed. Built to deliver a speedy and energy efficient experience, this Quad-Core CPU that has been clocked at 2.15GHz lets you enjoy mobile games, movies, and Apps at ease. Additionally, this Android mobile phone comes with 4GB of RAM – letting you engage in multitasking sessions and enjoy multiple of the phones’ features at once without slowing down your device. With 64GB of internal storage, it offers plenty of memory for you to store all your files, games, and media alike. With this Android phone at your side, you’ll never have to be bored again as it literally lets you carry along a years’ worth of entertainment within your pocket. At the rear of this powerful Android mobile phone, you’ll find a stunning 21MP camera that lets you snap mesmerizing pictures and ultra-sharp footage. Whether you’re attending a party or are enjoying a breathtaking view during your upcoming holiday – with this camera at your side never again a special moment in life will pass by uncaptured. Additionally, the smartphone features an 8MP front snapper that lets you engage in Full-HD video calls with friends and family located at the other side of the globe – allowing you to stay in touch with your loved ones no matter where you’re at. 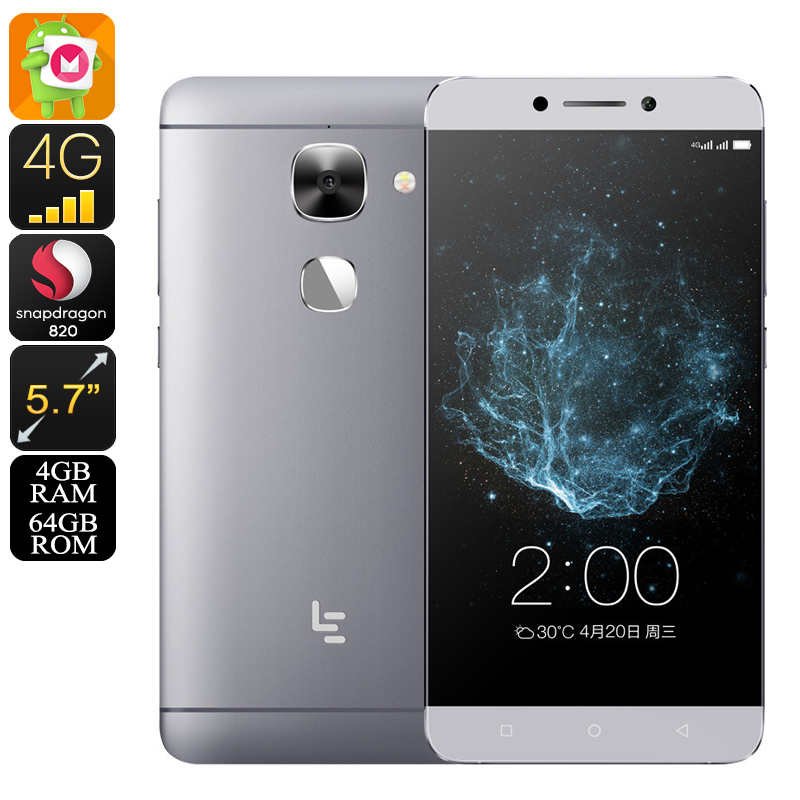 The LeEco LeTV Le Max 2 comes with a 12 months warranty, brought to you by the leader in electronic devices as well as wholesale electronic gadgets.. excellent!!!! great quality! very well packaged! i'm gonna make a new order soon ,thanks you for all! See above. (Not anymore in stock) is the only bad point. Først? Deliverytime was really fast.From order to Deliverytime, around one week workingdays.Good packing og the gods. The phone: EXELLENT EXELLENT This LeTv Le Max2 is really fast..???. Good camera and lot of stuff like IR , Nice to kontroll your Aircondition etc.The screen is awesome,so crystalclear and good stabilitet.Phone feel like å really flagship phone and good build.Thanks to ChinaVasion for Great products and good costumer servise all the way. Shipping was quick, ROM is supposed to be global but am missing Canada specific details. No big deal, no issues with functionality.